Last week we concluded the fall 2011 season of our Community Tree Planting (CTP) program. It has been another fantastic season of 30 volunteer-driven planting events, with nearly 1,000 adult and youth volunteers. 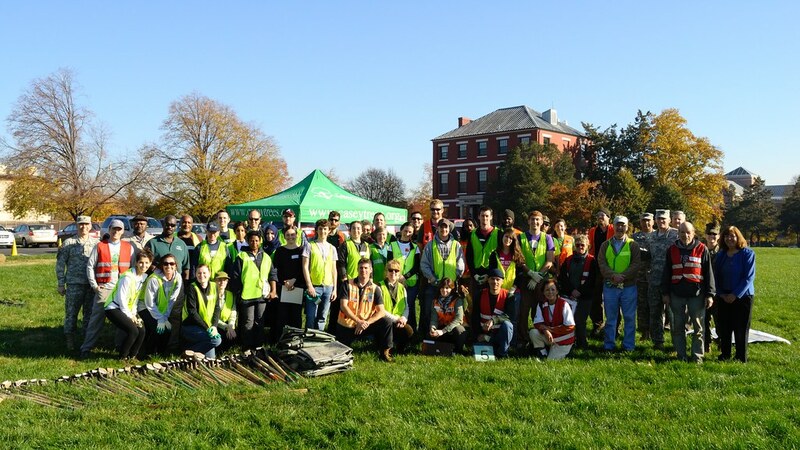 The season's tree planting initiatives represent a financial investment in D.C. totaling more than $182,000, including 2,300 hours of volunteer labor. Of note, the fall CTP season featured eight tree plantings at D.C. schools where more than 150 students from grades K-12 added 44 trees to and surrounding their campuses. Students also participated in Tree Rallies leading up to their planting date to learn about the many benefits trees provide and how to properly handle and plant trees. 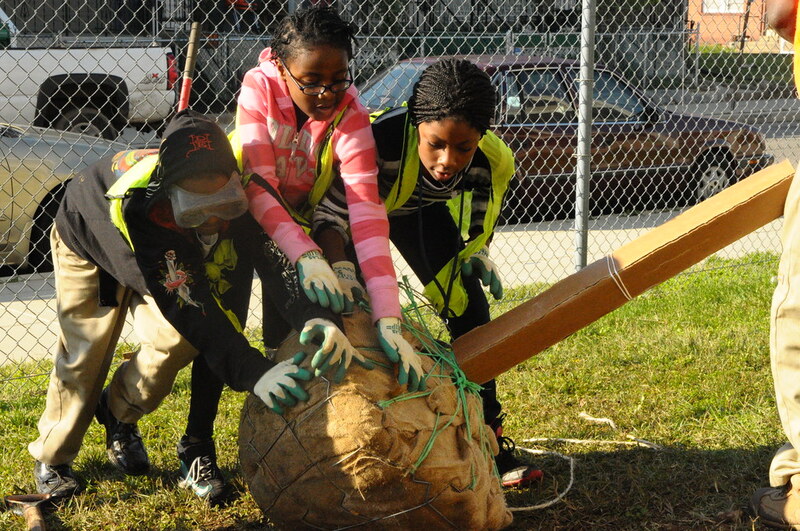 Students from Blow Pierce PCS roll a balled-and-burlapped tree into place. This season we continued to expand our fruit tree plantings, adding 39 trees to five sites: the U.S. National Arboretum's Washington Youth Garden, Green SEED Community Garden, Capitol Hill Montessori School, Developing Families Center and the McLean Gardens neighborhood. We'd like to thank all of our great sponsors this year who helped make these events possible. Sponsors of this season included the Charitable Foundation of the Energy Bar Association (Capitol Quarter), Capitol Hill Community Foundation (Capitol Hill Montessori School), and Washington Nationals Dream Foundation (Chamberlain Elementary Friendship Public Charter School). The Starbucks Coffee Company provided in-kind donations of coffee at select CTP events. We look forward to seeing new and returning volunteers next season! Next spring will be one of our largest planting seasons ever, so we have a lot to look forward to. Dozens of Citizen Foresters and volunteers gathered at Fort McNair in November to plant. If you want to catch up on the fall 2011 season, check out our Flickr collection highlighting featured photos. Winter Class Schedule Released - Sign up now!